Trouble in paradise — a problem for the “most beautiful beach on earth”. Drifters, written by Martin Malcolm, The Bike Shed Theatre, Review by Claire de Sully. | Don't mention the M word! It is not often that I am short of words or unable to give an opinion. 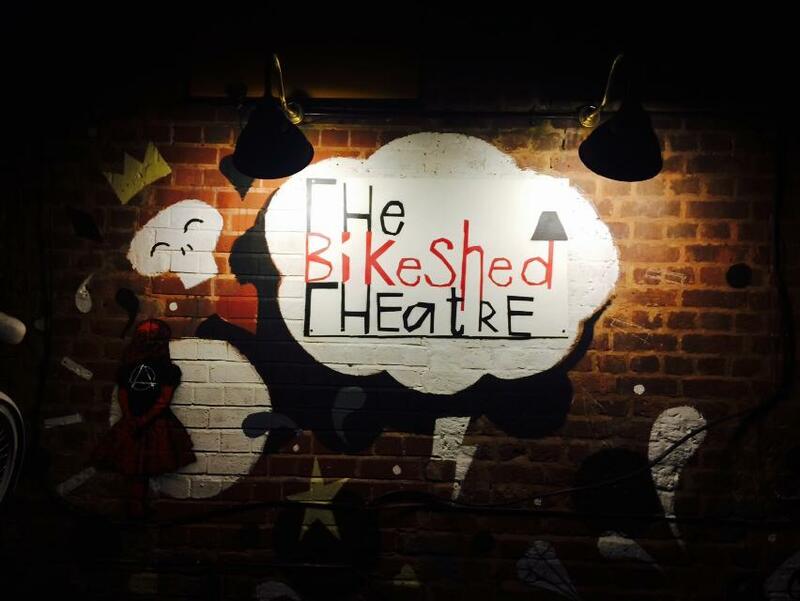 After watching Drifters, staged at the Bike Shed Theatre, I was dumbstruck as I turned to my companion with only a polite awkward smile as my saving grace. This was because the performance I had seen, just a short play, had made me feel so damn guilty to the point where I did not want to think about it, let alone express it. What I had seen, learnt, discovered, I felt responsible for. My companion was the writer of the piece, Martin Malcolm, what could I say to him? It’s my fault, I am really sorry. The musician and writer Dave Allen said when I met him recently that people often try to solve the wrong problem. They will undoubtedly fail. It is most likely that the forthcoming general election will draw its battle lines across the thorny theme of immigration. People get very upset about this subject. It is often blurred with illegal immigration. The irresistible rise of UKIP is testament to this. What unsettles people is perceiving their local communities being unable to cope with the increasing numbers of overseas migrants using “our” over stretched services, like “our” health service. Or those from other countries taking jobs away from British people who consider they have limited choices in life. What isn’t discussed is what we should do with the hundreds of corpses that lie on a Mediterranean island, of just twenty square kilometres – the “most beautiful beach on earth” the holiday brochure says – this is a migrant gateway to Europe, to the UK. People die escaping from the atrocities of war and economic crisis. The island is Lampedusa. Drifters does just that. There is a dead body on a beach with a woman wondering what to do. Martin Malcolm through his short play is showing us a real immigration problem, asking what we, the people we elect, are doing about it? How do we stop people leaving their countries, risking their lives, in the first place? What do we do when they drift onto our shores, dead or alive? 110,000 illegal immigrants have come into the EU via a central Mediterranean route of North Africa to Italy this year alone. The EU border agency say detection of such fatal crossings has risen by 288% in 2013. These poor souls are as vulnerable as driftwood as they float across the seas into Europe. This year 800 people have failed to reach their destination (up from 500 in 2013), instead they have arrived as corpses, lying on picture perfect beaches, swept away before the tourists come to soak up the sun. The UK has this problem too of course. The Home Office reported 18,000 “clandestine illegal entry attempts” from ports in Belgium and France last year, up from 11,000 in 2012. A ship carrying over 300 people sank off the island of Lampedusa just last year, leaving local people to confront their drowned bodies – including a young couple who died in each other arms below decks. Why are people willing to risk everything, on cramped flimsy vessels, in airtight containers; mothers with babies pressed against their breast, their elderly parents and young men ripe for life? The answers lie in the world I inhabit, the life I live, the political system that I am part of. 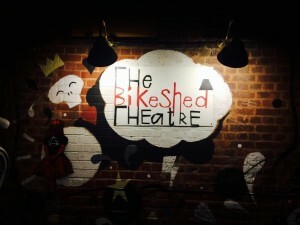 The Bike Shed Theatre is a bar with a theatre space in a windowless backroom. For me the mainstay theatre environment can create an uncomfortable self-consciousness as we sit in our expensive theatre seats looking for mirrors to reassure ourselves that we are all from the same mould. This close-up theatre space creates a stark view as if looking into car headlights – shining brightly in our unblinking eyes. This is a suitable backdrop to Martin’s hard hitting subject matter. She is speaking of the other bodies, the ones that survive, who end up behind barbed wire in the detention unit on this island, which was originally built for a maximum capacity of 850 people, reported to be housing nearly 2,000 boat people right now. Moore doesn’t overplay the character emotionally, which lends to the play’s impact. I was given a powerful pounding to my comfortable mind-set, my ignorance was laid bare. I did not know the dead are having to be dealt with on the frontier of the EU borders, on beaches people holiday. The EU commission, the politicians we elect, don’t know what to do as well. This is just an Italian problem to solve, right? There are mixed messages, disagreement, between our European leaders, while for certain the bodies will continue to pile up in paradise. A frank and shocking review Clair. It’s the ugly side of forced migration which we often turn a blind eye to. 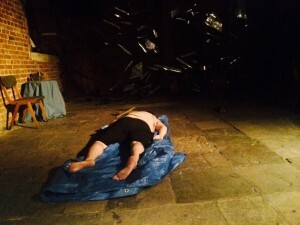 The poor souls, who die in their scramble for sanctuary, need a narrative and the play Drifter, written by Martin Malcolm and staged at the Bike Shed Theatre, certainly does that. Moving and sobering. Did the piece dig down to causes and solutions in any way? It did touch on the causes. Solutions? Not so sure, it was abundantly clear that there was a lack of solidarity between European nations and a lot of double speak. I watched this before the world woke up to a baby washing up on the beach.